You've probably seen a lot of press that an App is delivering a promise of losing your reading glasses. If you are 40-64 years old and reading this with glasses, take note of this. 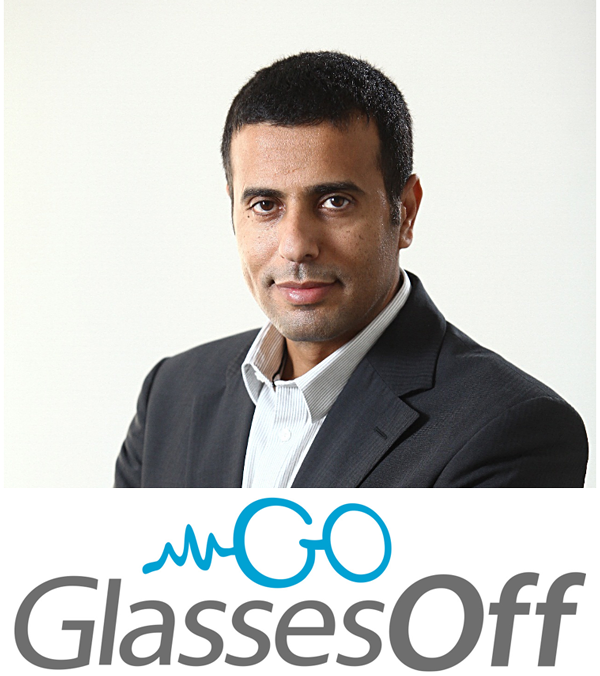 We interview Nimrod Madar, CEO of New York based, Israeli developed start-up GlassesOff - ranked in the Top 5 of the Medical App category. GlassesOff improves reading by enhancing the image processing function of the visual cortex(for the lay people, let's call that the brain). Watch or listen to Nimrod talk about their app with a little about their business as well. Brain as Your Reading Glasses? "wherever you had to improve or try to fix the way your vision works, you have been limited to optic correction...what is unique about GlassesOff is that today we now understand how the brain works, how the visual cortex in the brain works and we are able to improve the way the brain interprets information"
"When you start the application you do a visual evaluation test, we can determine if our technology fits your specific needs"
"We actually believe in empowering people and we believe we can do that with our technology"
We nerds love apps like this - Using apps to "hack" your body. I don't think Nimrod would totally agree because of the years of deep science involved. This is definitely a lifestyle app. You have to use it to gain any performance. This would be a great app if they could do this through google glass - "OK Glass, Eye Exercise". GlassesOFF's freemium model is interesting. After using the GlassesOff app for approximately two weeks, you will be given the option to subscribe to the full version, which includes additional advanced segments, for $59.99. However, during the launch, subscriptions will be offered at a special price of just $9.99. If you got $59.99 sticker shock, just wait. I had the same initial feeling, "an App with premium subscription of $59.99?" Quite frankly, we are just not used to that in the app world. But, the nerd in me compared the other options for "offing" your reading glasses (Lasik-partial insurance coverage), reading glasses or magnifying glass-reasonable alternative. Definitely cheaper than Lasik. Comparable to reading glasses, maybe slightly more expensive but more convenient. More convenient than a magnifying glass. As you enter the trial phase, they do offer an evaluation to see if GlassesOff will even help your situation. If you have multiple devices, GlassesOff also allows you to use different devices. But since this app use images to train your brain, it may be visually different on different devices and thus affect the results. Check them out on iTunes or the Google Play Store.